Carefree durability while adding a touch of style to any outdoor living area. 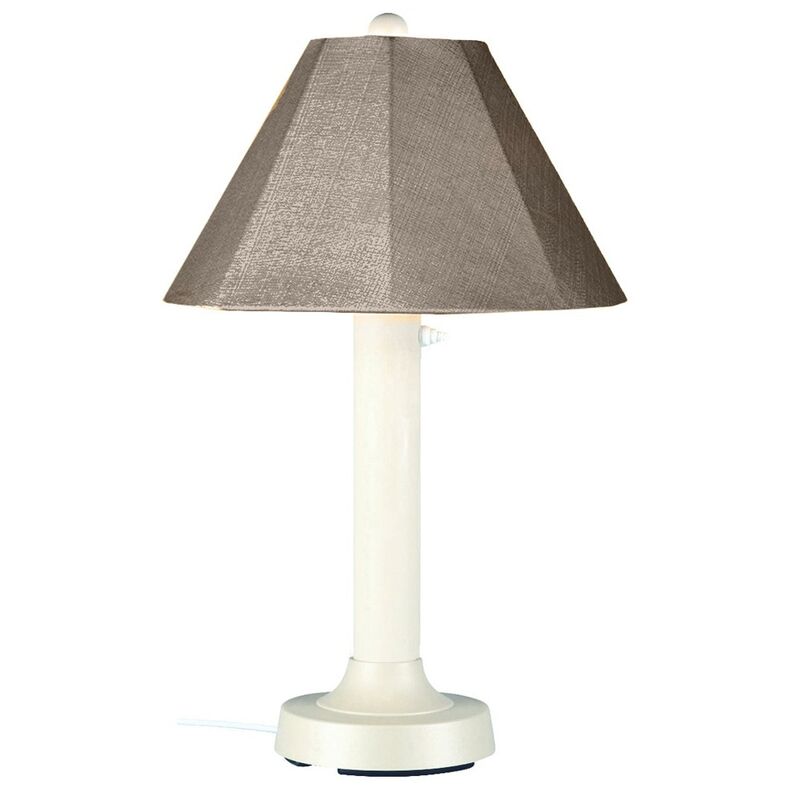 Seagrove table lamp features a 3" white body, heavy weighted base and Sunbrella shade. 16 ft. weatherproof cord and plug. Two level dimming switch.